This entry was tagged Christianity, God's coming will be like a refiner's fire and fuller's soap (Malachi 3:2), How can I change so my past doesn't affect my future with God?, Is there any hope for people who rebel against God?, Pastor Cliff Purcell: The Great and Dreadful Day of the Lord, What will it be like when Christ returns?, Who can endure God's coming? 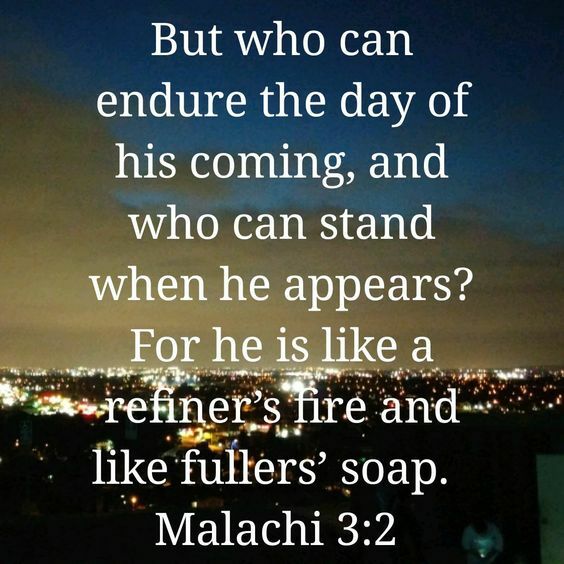 (Malachi 3:2). Bookmark the permalink.